Green Bay Packers quarterback Aaron Rodgers wants to help. 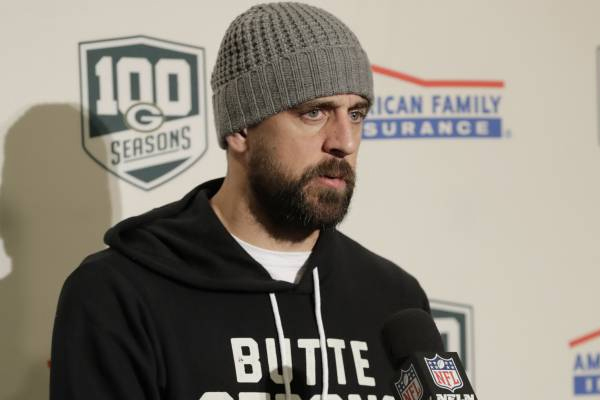 Just 10 days after wearing a Santa Monica Fire Department hat in support of those impacted by the California fires, Aaron Rodgers pledged to donate $1 million to help those from his home state. “As many of you know, the California wildfires have devastated countless communities,” Rodgers said in a video posted on Twitter. “In Northern California, where I was born and raised, the city of Paradise burned to the ground, and many of the residents that got out are now displaced in my hometown of Chico and across the north state. Rodgers, who was born in California, has also partnered with State Farm for an additional donation of up to $1 million. State Farm, will donate $1 up to $1 million through the State Farm Neighborhood of Good program for every retweet of Rodgers’ original tweet until midnight Sunday, Nov. 25. As of Tuesday evening, the wildfires affected an area up to 400 square miles and are responsible for 84 deaths with 870 missing people, making it the deadliest fire in California history. The fire has destroyed nearly 13,000 residences and thousands more businesses and buildings.